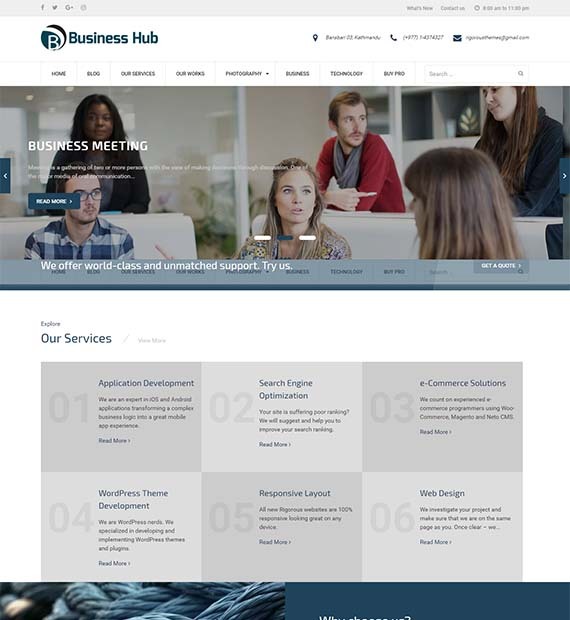 Designed with business and corporate sites in mind, Business Hub is an awesome Free WordPress theme from Rigorous Themes. The stunning design is fully responsive making sure that your site looks appealing no matter what. Fast loading and easy to use, this theme is beginner friendly! Best suited for business, corporate, agencies, local business and sites similar to that, Business Hub is an awesome outlet to showcase your WordPress site in an effective way!